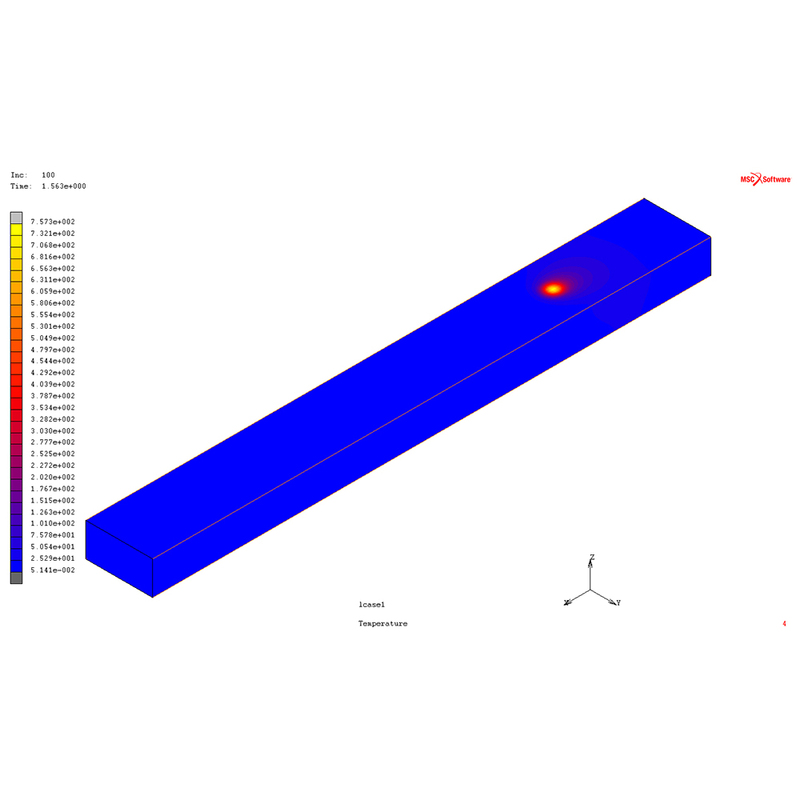 A thermo-elastic-plastic finite element model was employed to simulate and analyze the effects of high-power parameters on the laser heat treatment of AISI 1045 steel. Tempering effects of multitrack laser heat treatment using various process parameters—laser power, laser feed rate, laser overlap rate, and laser spot size—were analyzed to estimate the distribution of a hardening layer on the steel surface. Numerical simulation results indicated that the proposed finite element model is effective in analyzing the laser heat treatment of the steel surface and calculating the possibility of decreases in steel hardness due to tempering effects, enabling it to undergo rapid temperature increases and decreases. Chi-Liang Kung, Hao-En Shih, Chao-Ming Hsu, and Cheng-Yi Chen, Tempering Effects of Multitrack Laser Surface Heat Treatment of AISI 1045 Steel, Sens. Mater., Vol. 31, No. 3, 2019, p. 1091-1103.